What impact could 3D printing have on small businesses? Here, we look at the benefit of the still-developing technology for SMEs. Earlier this week, the US Food and Drug Administration approved the world’s first ever 3D-printed drug. Aside from being an astronomic breakthrough for the pharmaceutical industry, this news comes amid a flurry of similar stories; each demonstrating the growing potential and endless possibilities of 3D printing. Upon its invention, 3D printing was limited in terms of its usability. 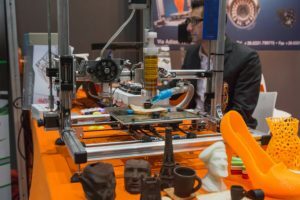 Aside from architects building advanced 3D mock-ups, fashion designers producing radical new garment designs, and tech enthusiasts creating toys and other novelty bric-a-brac, the full potential of 3D printing took several months to materialise. Author Supercharg3dPosted on 11th August 2015 6th February 2017 Categories Industrial Uses, Supply Chain ImpactTags Small Business, SMEs, Supply ChainLeave a comment on What impact could 3D printing have on small businesses?